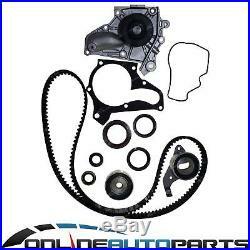 Timing Belt + Tensioner Kit + W/Pump. 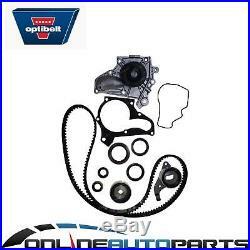 Timing Belt + Tensioner Kit + W/Pump Reference: ZPN-05542. Link to formulate a question. Or check our Frequently Asked Questions page. But fear not, we have created a table with more specific and relevant fitment information for you. This is a vehicle specific part, please make sure your vehicle is listed in our verified table below. Cruiser, MAX, Oasis, Winter Limited Edition. 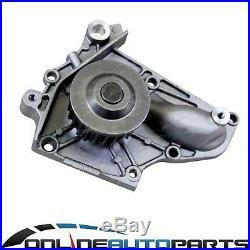 4cyl 3S-FE 2.0L 1998cc. Cruiser, MAX, Oasis, Winter Limited Edition, World Cup. 1994 1995 1996 1997 1998 1999 2000. Search more parts for my vehicle. Westpac Bank Deposit - Electronic Transfer. You can also pay in-Store. Please note that not all items can be combined as they do not pack well together. We select the carrier at our discretion to suit your order and area unless you are choosing to use own carrier account. Australia Post - Eparcel Road. Australia Post - Eparcel Express. 7-21 days - No Trackable information available. 5-10 days - Tracking information available to most countries. Item is dead on arrival or damaged. There is a manufacturing fault with the item. Or visit our store HERE. Head Office + Warehouse location. 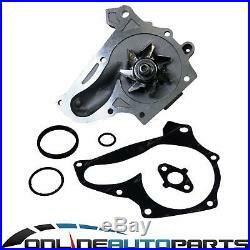 The item "Timing Belt Water Pump Kit suits Toyota RAV4 SXA10 SXA11 1994-2000 3S-FE 2.0L" is in sale since Wednesday, December 17, 2014.